Wall Clock wifi camera FULL HD + Motion detection with the possibility of watching live view via 3G/4G network and with remote control via mobile phone or tablet. 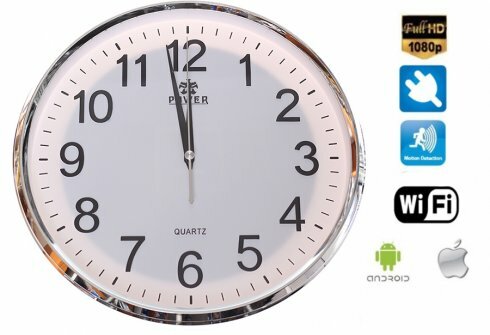 Wall Clock wifi camera FULL HD + Motion detection with the possibility of watching live view via 3G/4G network and with remote control via mobile phone or tablet. 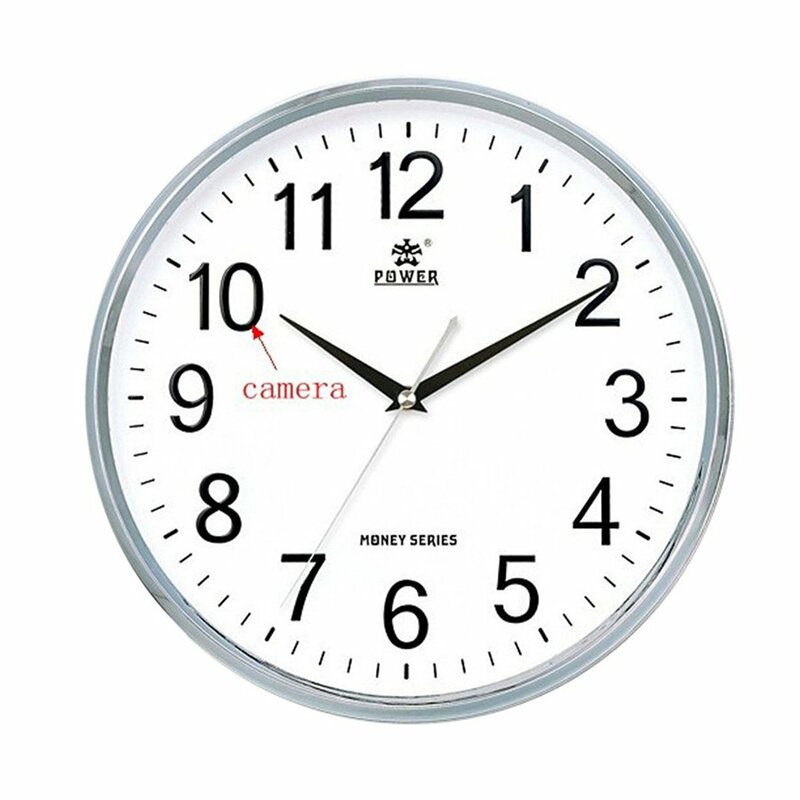 The analogue wall clock is designed to hide a WiFi camera. The small lens, when is hanged up on the wall, has up to 120° angle of vision in Full HD resolution 1920x1080p at 25 fps. The clock is powered by one AAA battery. The camera is powered by a battery which contains a slot for a TF card of max. size 32 GB. The battery and the slot for TF card are hidden under the back cover of the clock. With the ability of continuous power supply via the USB adapter, you do not have to worry about a discharged battery at the wrong time. The lens has a 5 megapixel CMOS sensor and captures video up to minimum luminosity 1Lux. It has a motion detection function of up to 6 meters. The camera is easy to use. Just download the software to your PC, phone or tablet and the device can be controlled via a WiFi connection. Hi how many hours can recording? About 5-7 hours in FULL HD resolution in inserted 32GB micro cd card. Does the clock need to be plugged in,or can it just run off the battery? Hour meter is powered via 1x AA battery. The camera is powered by a built-in lithium battery that lasts for up to 2-3 hours.